Your duties start date is the date your automatic enrolment duties come into effect for you. If you are exempt from automatic enrolment (e.g. you are a single director company, you have ceased trading, etc. 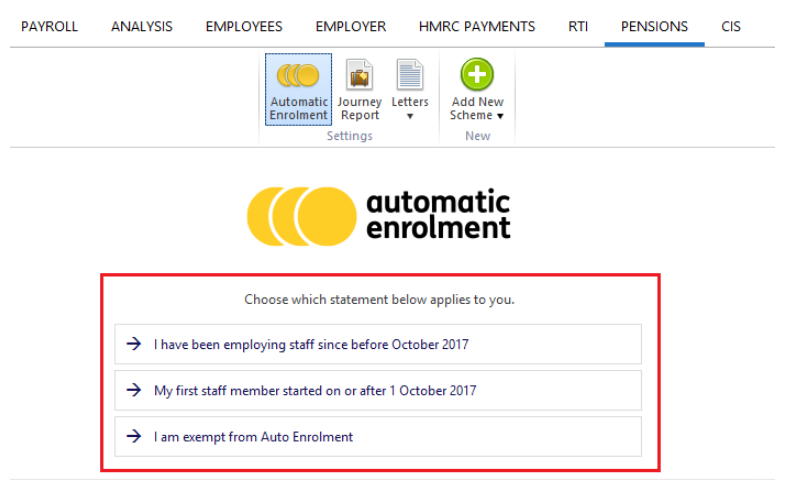 ), select the option 'I am exempt from Auto Enrolment'. This will prevent any automatic enrolment alerts appearing in the software going forward.